Yesterday, Brian Balfour, founder of Viximo, posted a great article pointing to lessons that the virtual goods industry can learn from Starbucks. In many ways, coffee from Starbucks is like a virtual good whose value is determined by intangible factors such as branding, premium positioning, and affordable luxury. As a result, Starbucks is a great model for how to sell virtual goods. Brian digs into how Starbucks maximizes revenue during the holidays through holiday-focused product, strong social context, and savvy management of pricing and promotions — all strategies that are directly applicable to selling virtual goods. Near perfect price discrimination has been touted as one of the major advantages of virtual goods as a business model. Intrinsically, virtual goods provide a form of first degree price discrimination where users with a higher willingness-to-pay consume greater quantities of virtual goods. This means that site and game operators can capture a higher share of the value delivered to their end users and achieve a higher overall ARPU (average revenue per user). While first degree price discrimination is a well understood topic in the virtual goods industry, there is another form of price discrimination that can be just as powerful — third degree price discrimination, better known as dynamic pricing. Dynamic pricing involves changing prices based on moment-to-moment or user-by-user changes in demand. I’m really excited to present “Show Me the Money: Maximizing Virtual Goods through Dynamic Pricing”, a guest article written by Rex Fisher, VP of Business Development at Digonex Technologies. Digonex is a pioneer in the field of dynamic pricing and have helped companies in digital media, event ticketing, retail, and manufacturing improve their profitability through dynamic pricing. It’s no secret that the virtual goods industry has exploded in the past two years. The growing popularity and sales of in-game items, including avatar customization and virtual gifts such as pets and coins, has industry analysts predicting the market will top one billion dollars in 2009 alone in the US and nearly seven billion in China. The specific marketplace as a whole is a huge economic opportunity just for in-game items. What many may not know is virtual goods represent the next big opportunity for large companies, mainstream brands and social networking platforms who are struggling to meet revenue goals in a difficult advertising climate. So how can organizations maximize this market opportunity to offer users meaningful ways to emotionally interact with friends, family, colleagues, etc. online, while keeping their target audiences engaged with their products and services, and dramatically impacting their bottom line? The answer lies in dynamic pricing. This article will outline the features and benefits of dynamic pricing and illustrate how modern pricing structures can help organizations such as casual multiplayer online games (MMOs) and virtual world developers implement sound pricing strategies, maximize revenue opportunities and significantly drive the future of the virtual goods industry. Dynamic pricing is critical to maximizing profits and growth in the virtual goods industry. While sophisticated pricing models are still a relatively new concept, the impact that dynamic pricing can have on selling and purchasing behaviors is significant. Dynamic pricing is already becoming prevalent in many industries including manufacturing, event ticketing and digital media (i.e. downloadable music). Let’s take a look at closer look at the basic principles of dynamic pricing. Consider your last fill up at a gas station. We all know that gas prices typically jump on Friday and fall on Monday in response to demand. Do weekend gas prices keep some people from buying gas? Absolutely - just not enough people to affect pricing. Of course, demand for gasoline is relatively inelastic. It is not always the case that an increase in demand should lead to an increase in price. Dynamic pricing allows prices to adjust up or down based upon consumer demand which enables companies and social game developers to offer prices that are market-driven. Additionally, dynamic pricing models can be utilized to encourage gamers toward a particular business goal for virtual goods companies. Perhaps that goal is to increase per customer sales growth, broaden sales diversification or extend visitation to virtual retail environments. Whatever the focus may be, dynamic pricing is capable of generating tremendously improved results over static pricing. Dynamic pricing solutions typically collect transaction data at selected intervals then aggregates and analyzes that data based on customizable criteria. Upon completion of analysis optimal product pricing is delivered for the product catalog. These pricing updates can happen automatically, keeping the product prices in synch with current demand on a day-to-day or even hour-by-hour basis. 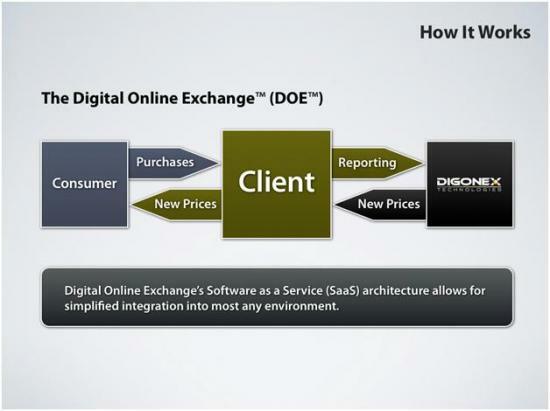 It is always important to set the business parameters within which a dynamic pricing effort will operate. For example, setting appropriate boundaries on price variation is crucial. Wildly fluctuating prices can produce a negative customer experience and impact profitability while controlled price variation can actually improve the customer experience and stimulate sales. Finally, dynamic pricing models are optimal for providing a more flexible, reliable way to allow organizations to maximize revenue opportunities. A full price range, non-tiered dynamic pricing model continually delivers optimal prices inline with a company’s overall business strategy. While the virtual goods industry is experiencing remarkable growth, dynamic pricing gives organizations the ability to maximize profitability today to ensure they’re set up for success tomorrow. Dynamic pricing benefits industries that have high-demand uncertainty (e.g. digital music, event ticketing, e-books and e-commerce) or offer perishable products, such as hotel rooms, airline tickets or virtual goods which have a specific shelf life. In fact, that life span can be mere days or even minutes depending on the product and consumer demand. To understand the benefit of dynamic pricing, it’s critical to understand that the virtual economy is based solely on demand - not supply and demand. While supply may not be a constraint for a game developer there is the potential to leverage supply constraints as a strategic factor to increase demand and ultimately, profits. For example, social gaming companies such as Zynga and Playdom will regularly offer virtual products for a limited time or in-limited supply that provide the player with a significant advantage in the online virtual game they’re playing. These products are typically sold for “points” which must be earned by completing tasks in the game or purchased for real money. Limited products typically sell out in a matter of days and when they do they are usually gone forever. Those gamers that do not obtain the limited products are left to contend with those that did. When a supply constraint is placed on a virtual product it is absolutely critical to get the price right. Price too low at any given point and the product will saturate the market or sell out within hours. Price too high and demand is reduced to a fraction of what it could optimally be. There are several pricing challenges associated with virtual goods. Virtual marketplaces are extremely fast-paced with most products having less than a 72 hour post release window to generate the majority of their sales. The optimal price for a virtual good can fluctuate more than 100 percent over the course of that 72 hour window. The speed of virtual markets require product analysis and price adjustment in a matter of minutes, not hours, in order to achieve maximum profitability. Additionally, sales stimulation or cannibalization can have a tremendous impact on almost any virtual good. For example, the price and selection of couches can drastically affect demand for coffee tables in virtual worlds. It is also important to note that many online games have secondary markets that heavily influence demand in the primary markets. Ability to use constrain supply as a tool to stimulate demand. When correctly implemented, dynamic pricing can be leveraged in conjunction with supply to accomplish a number of business goals for a virtual goods organization with significantly greater success. Virtual goods companies can leverage dynamic pricing models to capitalize on limited windows of opportunity and drive significant revenue for a specific digital good such as points or coins as referenced in the Zynga example above. Dynamic pricing enables virtual goods organizations to reduce sales cannibalization for particular goods and adjust prices accordingly. Lastly, dynamic pricing, vis-à-vis automated price optimization tools, give revenue optimization and merchandizing teams an automated solution that can help them do their jobs better, maximizing time and resources within an organization. The virtual goods industry has experienced a tremendous amount of growth over the past couple of years. As the industry continues to evolve and expand, it will be important for companies to develop sound pricing strategies including the adoption of behaviorally-based pricing tools in order to maximize revenue opportunities and ensure long term success. Dynamic pricing provides a powerful alternative for virtual goods companies seeking a solution to effectively monetize products and maximize profits. Any dynamic pricing solution should continuously identify the “sweet spot” where prices follow perceived market value and generate the maximum economic return. This can greatly impact purchasing and selling behaviors which, in turn, can significantly drive the future of the virtual goods industry.